The Neotion Viaccess Secure CAM is compatible with programme services like SCT, Redlight TV, RTVi Russia, TVR Romania, Brazzers TV and many more. 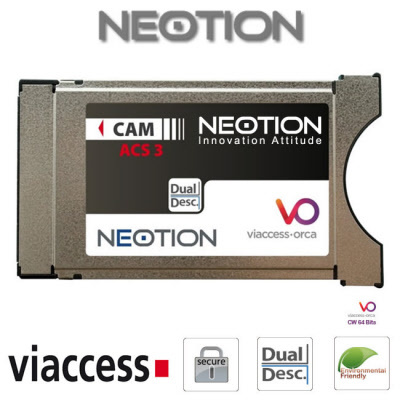 The Neotion Viaccess Secure ACS 3.x CW64 CAM have been updated to the latest version P/N:6320 and suitable to use with providers such as BIS TV France, beIN Sport France, Satisfaction TV, Redlight TV, AB Sat France, TVR Romania, Brazzers TV and many more. 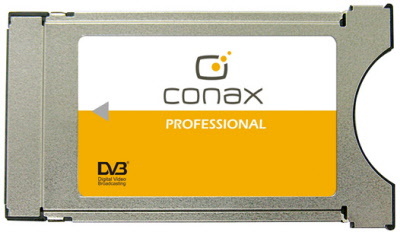 Original Conax Cam by Icecrypt suitable to use with Official Non-Paired Conax cards. Powered by NEOTION in-house silicon technology, the ICECRYPT Plug-n-Play Conax CAM enables Digital TV sets & Set Top Boxes to decode TV programmes scrambled with Conax conditional access system. Inserted into a common Interface (DVB-CI) slot, Icecrypt cams allow viewers to simply benefit from MPEG-4/MPEG-2 & SD/HDTV channels scrambled on Digital Receivers. Irdeto 2 CI Plus ( CI+) Official Icecrypt Cam CI. Suitable for the Irdeto 1 and 2 encryption. The Irdeto 2 CAM will allow you access to Irdeto channels when used with a suitable Irdeto card for the service to which you are subscribing. 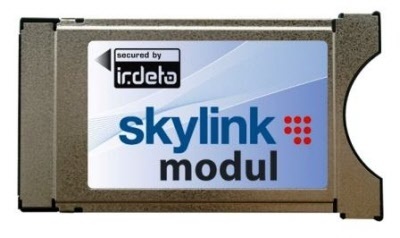 Fully compliant with the next generation high security CI+ system that is being adopted by broadcasters worldwide. 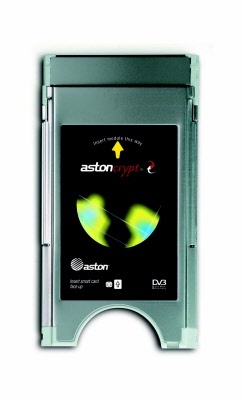 Latest version Official Aston Dual Channel Cam Conditional Access Module Version 2.26 , suitable for all Seca / Mediaguard and Astoncrypt broadcasting. Dual channel Consumer version Cam version capable of decoding two channels at once as standard, ideal for use in both PVR and non-PVR decoders. 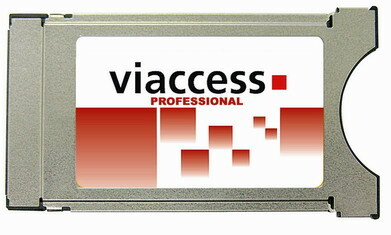 Latest version official SMIT Viaccess Professional Conditional Access Module. Multi channel Professional version capable of decoding more then one channel at once as standard, great for use in both PVR and non-PVR set top boxes. 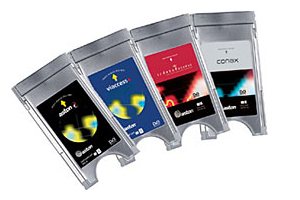 Suitable for Viaccess broadcasts. 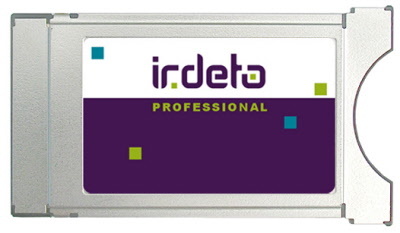 Latest version official SMIT Irdeto 2 Professional Conditional Access Module. Multi channel Professional version capable of decoding more then one channel at once as standard, great for use in both PVR and non-PVR set top boxes. Suitable Irdeto 2 broadcasts. Latest version official SMIT Conax Professional Conditional Access Module. Multi channel Professional version capable of decoding more then one channel at once as standard, great for use in both PVR and non-PVR set top boxes. Suitable Conax broadcasts.